So far, this summer has been fairly eventful. My family went to Disney World for a week and I turned one year older. Since I couldn't go with my family, I made sure to send them off with a list of things to give me as birthday gifts. I know that Disney has jumped onto the green bandwagon, so I asked them to keep an eye out for anything interesting of the green variety. They did not disappoint. One thing I was curious about was if Disney had made any effort to curb the effect of the millions of plastic bags they go through each year. Their bags are now 100% recycled, conveniently stated on the bag in English and Spanish. The bags also point you to Environmentality, dedicated to Disney's environmental mission. I know every other time my family has gone, we've come home with a small mountain of plastic bags with Mickey on them. This year, my parents also chose to get larger bags and use them as shopping bags instead of getting one bag at each store and creating another collection. 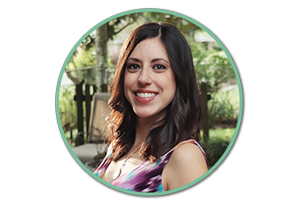 Sounds like I just need to become a Green Supervisor in Disney World! 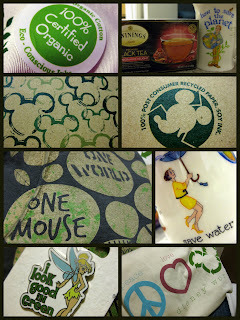 I could be all about the organic/recycled merchandising and recycling programs in the happiest place on Earth.